Click here for images of exhibition. Portraits of People we Love is an exhibition curated by Sarah McCann that invited artists to create and submit work that depicts a person or persons each artist loves. This love may be platonic, familial, romantic; someone they only know in passing, but are overjoyed exist in the world; someone they have never met, but appreciate in the deepest, most meaningful way or any and all other forms of love. As human beings we struggle to find love - we enter into and attempt to maintain relationships, find romantic love, give love and love ourselves. This exhibition explores our continual pursuit for love, even when that love causes us pain. The work included in this exhibition embraces portraiture in many forms: each artist has interpreted and embraced what a portrait means to them. Featured artists include: Colin Campbell, Schroeder Cherry, Nicoletta Daríta de la Brown, Oasa Sun DuVerney, Tiffany Jones, Ken Krafchek, dominic t. moulden, Paula Phillips, and artists from Christine Stiver's class at ConneXions: A Community Based Arts School. Students in this class worked directly with Schroeder Cherry to create their own artwork to be included in the exhibition. Portraits of Enoch Pratt Free Library librarians taken by Wide Angle Youth Media will also be included. The curator recently started working with the Pratt and was so impressed by the work of the branch managers she was inspired to find a way to include them. Hosted by Maryland Institute College of Art and MICA's MFA in Community Arts, this exhibition will showcase additional portraits of people we love, open to anyone in Baltimore and the surrounding region. This community installation will highlight the beautiful way that love connects us all. Portraits will be accepted as space allows. Visit: www.sarahbmccann.com for information about how to contribute a piece. 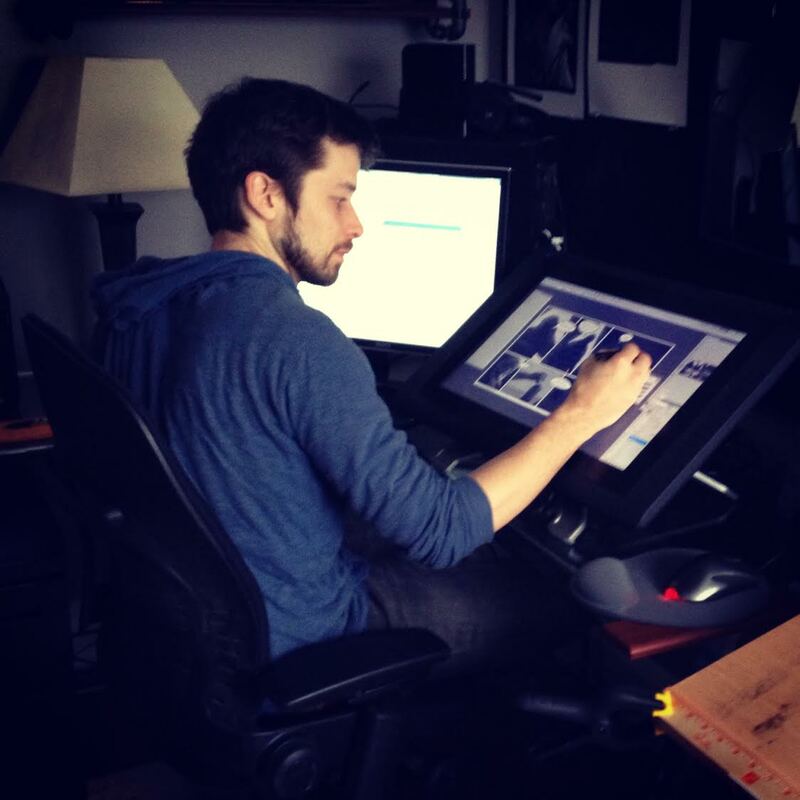 Colin Campbell is an illustrator and video game designer, currently working as the Lead Narrative Designer working on Star Wars: Battlefront II with Motive Studios. While he's worked as an artist and designer in video games for over twelve years, Colin was also the host and illustrator for the first season of the PBS television series Time Team America. That show focused on a real-life team of archaeologists traveling around the United States to help out at different dig sites. In 2005, Colin and his father, Alan Campbell, were awarded a two-person grant with the National Science Foundation's Artist and Writers Program to live and work in Antarctica for three months. The series of paintings created during and from that trip resulted in a speaking series through New Zealand and the United States and several exhibits. For several years Colin taught part time as a concept art and digital illustration instructor at the Maryland Institute College of Art, where he also received his undergraduate degree in 2004. He now lives in Montreal, Quebec with his wife Jessica Hara Campbell. A native of Washington, DC, Schroeder Cherry grew up as an arts kid, drawing pictures and playing with puppets. His mother brought home legal pads from the office for him to attack with pencils and crayons. 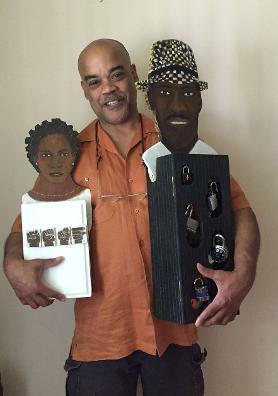 In high school he hung out with performing arts students at McKinley Tech and Workshops for Careers in the Arts, (the precursor to Washington's Ellington School for the Arts), but knew he was more a visual artist. His senior year of high school was spent in Switzerland, where he attended Gymnasium Munchenstein . The art courses there and at Kunstgewerbeschule Basel were welcome retreats in country where he was learning to speak German. Back in the US Shroeder enrolled in college, majoring in fine art. After landing a summer job at The Art Institute of Chicago during junior and senior years, he knew museums were the place for him professionally. He earned graduate degrees in museum education from George Washington University in DC, and Columbia University in New York. Over a period of 25 years he has held positions in seven museums across the US. Additionally, he served 12 years as a grantmaker. Today Cherry's works are informed by a broad sweep of narratives, literature, mythology, music, current events and history. His preferred medium is acrylic with found objects on wood. Keys, cowrie shells, glass and metal often appear in the work. Although the works tend to have a storyline, he appreciates hearing viewers’ responses to the pieces; there is no limit to interpretation. she danced. she sang. she took. she gave. she loved. she created. she saw. she grew. she sweated. she changed. she learned. she laughed. she shed her skin. Oasa DuVerney is a Brooklyn-based artist and mother. Selected exhibitions, residencies and media include: The Window and the Breaking of the Window, Studio Museum in Harlem, NYC (2017); The Brooklyn Biennial II, BRIC, Brooklyn, NY (2016); Through A Glass Darkly, Postmasters Gallery, NYC (2012); Rush Philanthropic Foundation Artist Residency (2016), Smack Mellon Studio Artist Residency (2014-2015); LMCC Workspace Residency (2012-2013); Brooklyn Foundation Grant (2016); The Independent, UK (2016), Hyperallergic (2015, 2016), The Guardian,UK (2015), Palestine News Network (2013), and The New York Times (2012, 2011). DuVerney received her B.F.A. from SUNY Fashion Institute of Technology, and her M.F.A. from Hunter College, CUNY. Tiffany Jones is a visual artist and has received her BFA in photography from the Maryland Institute College of Art. Jones' art practice often employs interactive types of data collection including interviews and surveys, in order to engage participants. Versatile and varied, Jones’ work is always influenced by history, current events, and societal assumptions. This practice grounded her community work as an artist. Her passion for community art and motivation for engagement grew with her involvement with the 2011 Black Male Identity project in Baltimore City, an initiative to change negative stereotypes of black men into positive images; with Autumn Leaves, inter-generational community arts experience with elders of Baltimore City; and the New Day Campaign using art to challenge stigma and discrimination associated with mental illness and addiction, all of which have been a platform for Jones to build a deeper appreciation for arts as a tool for education, impact and dialogue. Jones has exhibited her artwork in various galleries and museums in Massachusetts, New York, Virginia, and Maryland. These include the Marianne Boesky Gallery in New York, Artisphere in Virginia, Baltimore Museum of Art, James E Lewis Museum, and Sheila and Richard Riggs Galleries all in Baltimore. 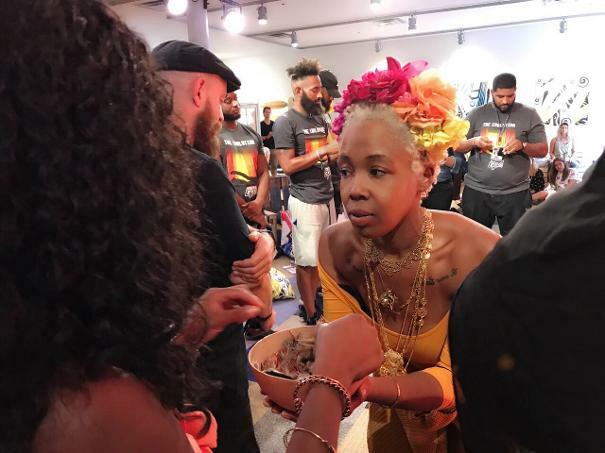 Jones is continues to work on her studio practice as a resident artist of School 33 Art Center located in Federal Hill, and leads after-school arts programming for Baltimore City youth. Ken Krafchek has been a member of the Maryland Institute College of Art (MICA) faculty since 1985, receiving the Trustee Fellowship for Excellence in Teaching in 1998. 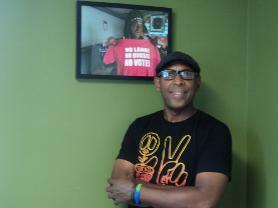 Ken is the founding director of MICA's Office of Community Arts Partnerships (CAP). He also founded MICA’s MA and MFA in Community Arts programs while currently serving as Graduate Director for the MFA. 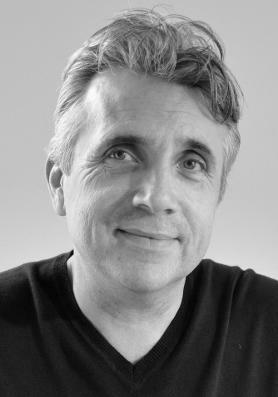 Ken also served as Project Director and Managing Editor for the Nathan Cummings funded, MICA sponsored Community Arts Journal: Cultural Practice, Research & Higher Education. dominic timothy moulden is a visual storyteller for the people. As a photographer-griot, he has journeyed to Ethiopia, Nicaragua, and South Africa to capture story-images of Black resistance and home. He also uses his camera to document Black presence and decry displacement at home in Baltimore. 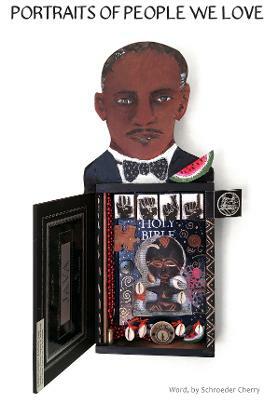 His work is united by its unblinking witness to the tenuousness of Black sanctuary throughout the diaspora. He firmly believes art is for everyone and access to beauty is our birthright. Appropriately enough, moulden’s first exhibit was at DC’s Sankofa Gallery. Sankofa, in the Akan language of Ghana, means you can go back and get it. moulden’s portraits are intended to remind Black people of their beauty, against the forces of forgetfulness--ie, colonialism and racism. Re-member what has been dis(re)membered, you can hear Moulden’s images whisper if you lean in close enough. moulden’s work has also been exhibited at Artspace (Washington, DC), Studio 21 Gallery (Washington, DC), MICA PLACE (Baltimore, MD) and was shortlisted for the Baltimore Museum of Art’s new Interactive Exhibition Gallery. He was a collaborator in Spotless, an exhibition on whitewashing and gentrification, at Hamiltonian Gallery (Washington, DC). His work is also in private collections. 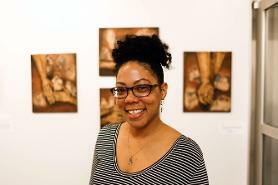 A Baltimore studio and community artist, educator, community advocate and activist, Paula Phillips specializes in mixed-media paintings that embrace social justice issues. 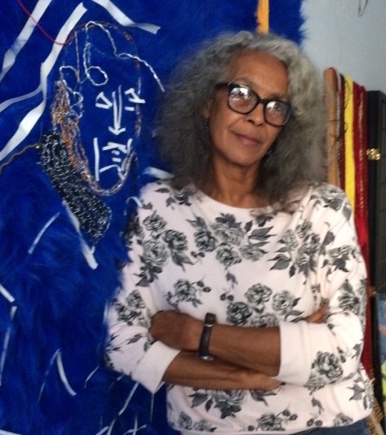 Her artwork, which reflects her European, Native American and African roots, has been exhibited along the eastern seaboard, primarily in the Baltimore-Washington area. A professor of the MFA in Community Arts program of Maryland Institute College of Art, Phillips also has taught in many Baltimore City public and private schools, Anne Arundel Community College, served as Senior Director of the city-wide summer program SuperKids Camp, as well as an arts consultant, program developer and facilitator with various institutions and community organizations including Johns Hopkins University’s Center for Summer Learning, Black Cherry Puppet Theater, The Baltimore Museum of Art, The After School Institute, The Walters Art Museum Fun Festival, The Child First Authority, Baltimore City Career Academy, Bright Starts, and the Amazing Port Street Project. Phillips earned her BAs through Huston-Tillotson College (‘71) and Texas Wesleyan University (‘94) and her MFA through MICA’s Hoffberger School of Painting (‘96). Located in the former William H. Lemmel building on the west side of Baltimore, ConneXions is a middle and high school serving the Baltimore City community. From its humble beginnings as a small charter school serving only a single 6th grade class, ConneXions has grown to serve a student body of over 330 students and saw its first graduating class in 2010.